For Dudest females out there.... I am 5'3" and about 200 pounds, pretty big busted, well proportioned. 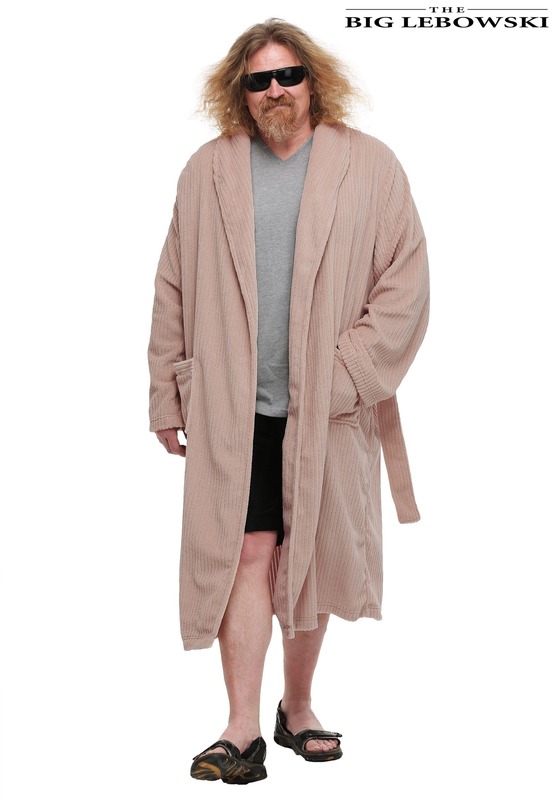 The Bathrobe comes down to my ankles, so it is long in length, but fits everywhere else just like in the photo. The robe is nice and fuzzy and soft. It is a bit warm though so be prepared for that. I am in south Texas so thankfully I will be wearing a tank top and shorts just like The Dude and I don't expect this to be a problem! I am very pleased with this purchase!